The book reviews helpful skills for conscious questioning, such as be intentional about creating inviting questions and clarifying assumptions. It reviews some core facilitation values: integrity, authenticity and mutual respect. Not only does the book offer a rich bank of questions to ask, it provides some helpful process frameworks for types of questions to ask during different parts of a meeting or retreat. There’s a different set of questions to ask to open a session, for enabling action, for thinking critically, for addressing issues and for closing a session. I recommend the book to anyone who wants a more advanced book for helping groups reach their full potential. 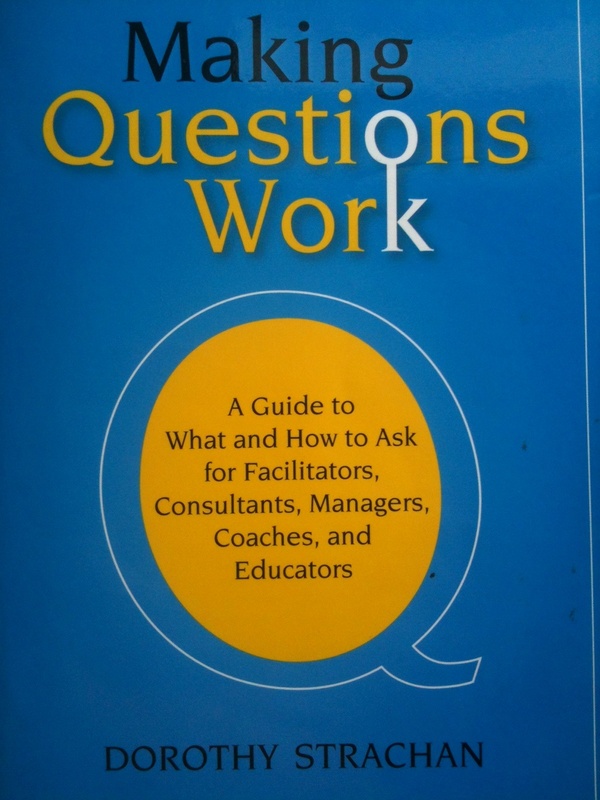 The book helped me brush up my questioning skills, which I look forward to putting into practice as I facilitate future retreats, training and coaching sessions. This entry was posted in Coaching, Facilitation, Training and tagged boards, Coaching, Facilitation, Training. Bookmark the permalink.